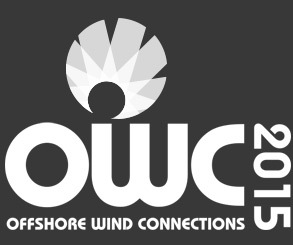 OWC2015 is a 'must attend' event for all those interested in this growing market. Attracting regional, national and international offshore wind delegates, the conference is on Thursday, June 4, at The Spa, Bridlington . UK and international thought leaders and key industry figures will discuss recent industry developments and the increasingly positive outlook for the future. Wind farm developers, owners, industry trade bodies and companies along the length of the offshore wind supply chain will be attending, including Able UK, A2SEA, DONG Energy, E.on, Forewind and Siemens plc among many others. The focus of OWC2015 is on the Yorkshire and the Humber region, which is at the epicentre of the offshore wind industry, and where billions of pounds are being invested in offshore and onshore infrastructure. Organised by Team Humber Marine Alliance (THMA) and supported by East Riding of Yorkshire Council, this is the perfect time and place to assess what our region has to offer. Three of the UK’s largest wind farms and 80 per cent of all North Sea offshore wind farms are on our doorstep, while 60 per cent of the entire European offshore wind project to be built by 2020 are within 12 hours vessel steaming time. Opportunity to attend the Yorkshire International Business Convention (http://www.yibc.biz) on June 5. The morning session with contributions from guest speakers will be followed in the afternoon by seminars and workshops on specific subjects. The evening event will be a Garden Party and BBQ set in the beautiful grounds of Sewerby Hall and Gardens, this event is included in the cost of the ticket. With views along the coast to the Westermost Rough Wind Farm, both The Spa, Bridlington and Sewerby Hall are fitting settings. 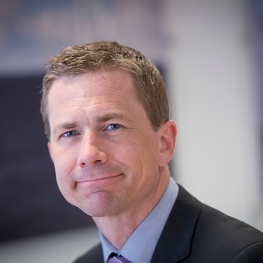 Tarald Gjerde is Forewind General Manager and Project Director of the Dogger Bank Zone. He has been with the Norwegian energy company Statoil for 16 years working mainly with international business development, though more recently within offshore wind. Before Forewind he was Project Manager for Statoil’s acquisition of a majority share of Dudgeon Offshore Wind Farm, to be constructed off Norfolk.. He is a Board Director with Scira Offshore Energy, owner of the Sheringham Shoal Offshore Wind Farm. He holds MSc (Econ) in International Relations from London School of Economics and a post-graduate degree in Political Science from the University of Oslo. 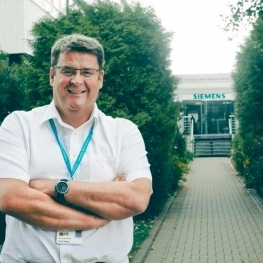 Finbarr Dowling joined Siemens in May 1989. In July 2014 Finbarr was appointed Project Director for the development and construction of the harbour, blade manufacturing and service facility at Alexandra Dock, Hull. The overall project has a combined investment of £310 million and will create up to 1,000 new jobs for Siemens in the UK. Following construction, the facility at Green Port Hull will be operational in early 2016 with blade production from the middle of 2017. A Teessider born and bred, Neil has operated at a senior level in both the Public and Private sectors and frequently in high profile roles. A graduate economist Neil started his working career with Dunlop (subsequently BTR) and after an initial position in Industrial Relations was an Export Sales Manager for 5 years. A three year stint as Deputy Regional Director of the CBI brought him on to a wider stage and he became Chief Executive of Teesside Tomorrow in 1992. 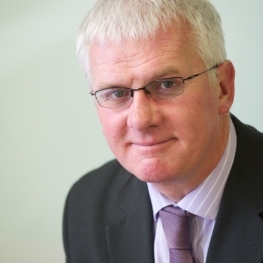 In 1996 he became the first (and only) Chief Executive of the award winning Tees Valley Development Company (TVDC). In 2007 Neil joined Able UK Limited as its Group Development Director overseeing the Company’s expansive land bank (5,500 acres) across the North of England. Neil has also been a longstanding Governor of Teesside University, a former Chairman of Tees Valley Living (Housing Market Renewal Pathfinder) and remains a keen golfer, skier and horseman. 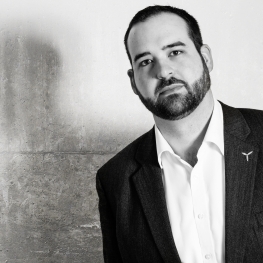 Andy Reay joined A2SEA in 2013 as Regional Manager for the United Kingdom/Ireland. He has a Masters in Science and is chartered with a strong background in environmental engineering and the power generation sector. 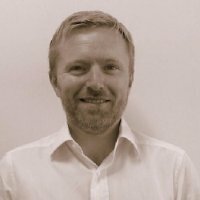 Andy has worked in various aspects of power generation for the previous nine years and currently leads A2SEAs business development and account management for the UK. He is working with major UK offshore wind clients on UK projects to ensure that A2SEAs significant experience, of more than 1,200 turbines installed, brings more value to future projects. 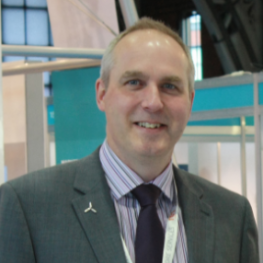 Andy Reay is member of RenewableUK Offshore Wind Delivery Group. 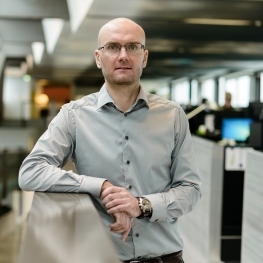 Joachim Steenstrup - As Head of Strategic Supply Chain at DONG Energy Wind Power, he is responsible for projects that go across the supply chain, this includes local content, industrial development and health and safety performance of DONG Energy Wind Power’s suppliers. Joachim has extensive experience from prior positions with industrial manufacturer Danfoss and medico-company, Radiometer Medical. DONG Energy Wind Power is the market leader in offshore wind. DONG Energy have more than 20 years’ experience in developing, constructing and operating offshore wind farms. While the majority of DONG Energy’s wind power capacity originally was located in Denmark, an increasing amount is derived from offshore wind farms in Great Britain. New farms are also under development in Great Britain, Germany, Denmark, Holland and France. Joachim holds a degree in journalism, as well as an Executive Master in Corporate Communication from Aarhus University in Denmark and a management programme at INSEAD. He lives in Copenhagen, Denmark, with his wife and their 4-year old son. 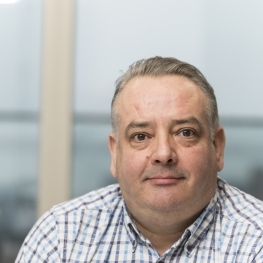 Jon Beresford has 33 years experience in the Electricity Supply Industry, first joining the Central Electricity Generating Board in 1982 as a craft Apprentice. Jon progressed his education and became an Electrical Engineer, where he progressed through his discipline into Engineering then into Electrical Maintenance at Ratcliffe Power Station. Over the years he progressed to become a Senior Electrical Maintenance Engineer, responsible for large electrical assets including 500MW generators, power transformers and high voltage switchgear. Some ten years ago Jon moved into the renewables division of E.ON as an the Operations Manager responsible for the Operations and Maintenance of two onshore wind farms and Scroby Sands, the UK’s first consented offshore wind farm. 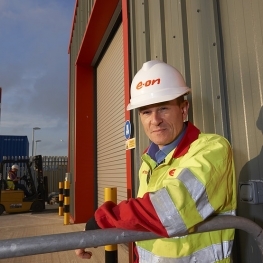 Jon managed Scroby Sands during the comfort of the OEM warranty, through the end of warranty process and into a strategy of self-perform, where all O&M services were brought in-house and now fulfilled by the E.ON site team. 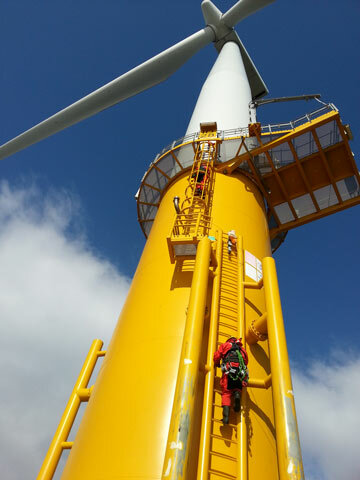 The experiences Jon gained from 10 years managing onshore and offshore wind, are now being applied at E.ON’s latest UK Offshore Wind Farm, the Humber Gateway, where Jon is the Plant Manager, responsible for setting up the Operations and Maintenance infrastructure and Team, ready for taking full responsibility later this year when the site is fully operational. Jens who is responsible for procurement by A2SEA A/S and CT Offshore A/S. Has been employed by A2SEA since May 2012. Previously been employed as Procurement and Sourcing Manager in the steel and pipe industry. Lyall is responsible to CEO, CCO of the parent company in Denmark for the improvement and increase of business in the UK sector of the North Sea. ESVAGT is a leading provider of offshore safety and support at sea primarily in and around the North Sea and the Barents Sea. ESVAGT has a fleet of 42 vessels including the ESVAGT Froude Offshore Wind "Service Operation Vessel (SOV)" under charter by Siemens. The company has more than 800 employees on- and offshore. 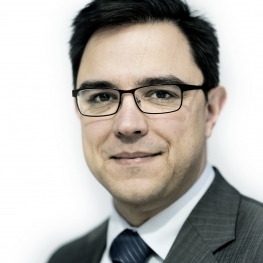 Alex is a passionate proponent of renewable energy in Europe with a particular focus on offshore wind. He has been promoting the industry for the last ten years while working in a broad cross-section of roles within the energy supply-chain market in Germany and the UK. 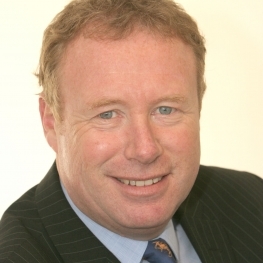 His roles have been with Energy Utility and Project Developer, to Tier 1 and Tier 2 service and equipment supplier - he has led technology audits on emerging technologies, spearheaded grass roots project development, had early involvement in the conceptualisation and development of offshore wind projects, and Project Managed an onshore wind project for a major utility. Alan has over 30 years’ experience of the international energy and utilities sectors, specialising in research, development, innovation and intellectual property commercialisation. Alan has worked in major corporations such as NEI/Rolls Royce, British Gas, Suez, Shell, Mott MacDonald and Jacobs. In addition, Alan has held board positions within research and technology organisations such Narec (now part of the Offshore Renewable Energy Catapult which he helped to establish in 2012), ITI Energy in Aberdeen, and has operated as CEO for two university spin-out businesses. Alan currently meshes his role as Research, Development and Innovation Director at Green Port Hull with seats on the boards of two clean-tech start-ups (one in water, one is wind), membership of the Innovation Board of the NE LEP, Visiting Professor at Durham University’s Energy Institute and offshore wind advisor to the UK Government, the USA Department of Energy and the European Union. Gary Maddison is the Offshore Operation & Maintenance Business Developer for RES Offshore. Gary joined RES in March 2012 as their Offshore O&M Business Developer. His role involves leading the development and growth of the RES Offshore O&M Business, developing the range of services provided to RES’ expanding client base. Gary is currently based at RES’ Grimsby office at the Port of Grimsby East from which RES deliver O&M services on offshore assets. RES’ clients include Centrica Energy, Dong Energy, SMartwind, Forewind, Statkraft, ORE Catapult,EDP Renewables and Repsol Nuevas Energias UK, and ScottishPowerRenewables. RES O&M are currently maintaining R3 assets forSMart Wind (Hornsea) & Forewind (Dogger Bank) as part of their portfolio. RES also have experience of using various vessel types and access systems to execute the safe delivery of O&M on these far shore projects. Pearlgreen Engineering – A Manufacturing Engineering company based in Hull who started in the sector by supplying battery harnesses and are now successfully supplying ladders and gangways for turbines. HFR Solutions – An East Riding Community Interest Company who are both Renewable UK and Global Wind Organisation accredited to provide bespoke training solutions to the sector. AIG – A Steel Fabricator specialising in products primarily for use in sub stations; now supplying doors, roofs and enclosures to the wider renewable energy sector. A session presented by the Regional Growth Fund Green Port Growth Programme & GROW: Offshore Wind. Having graduated from Cardiff University in 1991, Simon joined Associated British Ports as a Management Trainee in Kings Lynn. Since then he has held various Senior Management roles within the Company in the Ports of Cardiff, Newport, Hull and Immingham. 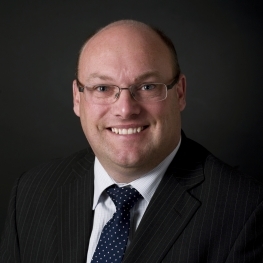 He was appointed to his current role as Head of Projects for the Humber Ports in 2013, and is currently overseeing the development of Immingham Renewable Fuels Terminal, and Green Port Hull. He is ABP’s corporate Industry lead for all Energy Cargoes, and represents the Company on a number of trade associations in this sector. All tickets include access to the conference and exhibition on June 4, 2015. The Spa, Bridlington is easily accessible by both road and rail, with Bridlington railway station and a host of town centre car parks all within 10 minutes walk from the venue. From the south and west take the M62 eastbound to junction 36, then the A614 through the Wolds to Bridlington. Follow signs for The Spa/South Beach. From the north take the A1 to A19/A166 (inland route) or A171/A165 (coastal route). Bridlington is on the East Coast line offering connections from Hull and York to all other destinations throughout the country. On arrival turn right out of the station and cross the coach park onto Hilderthorpe Road. Go straight across and along New Burlington Road until junction with West Street. Turn left and then right onto Neptune Street. The Spa, Bridlington is visible straight ahead. Please click below for maps. This not-for-profit, privately operated business development organisation has a growing membership of 200 companies. Established in 1996 as one of the main marine/offshore eenewables organisations in the UK, THMA is supported by five local authorities, the Humber Local Enterprise Partnership and key academic institutions. Team Humber is actively supporting skills development programmes and is a contributor to the new Humber UTC specialising in Renewables and engineering.